To what extent do I have a responsibility to care about other people? How do I set priorities regarding time and resources? 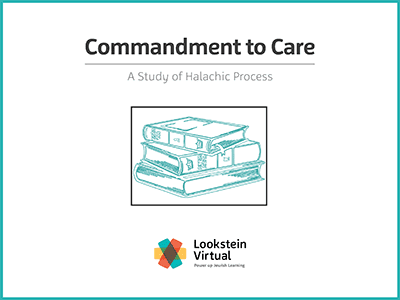 This thematic, Rabbinics text–based course explores mitzvot bein adam l’chavero (commandments that relate to interpersonal behavior) from Biblical through Talmudic text to modern sources. We will analyze the extent to which people have an obligation toward others on an individual, communal, and global level. Topics include responsibility to others, tzedaka (charity), and social activism. Throughout the course, students will examine modern case studies and offer creative solutions based on Biblical and Rabbinic sources.